Swedish design company Lammhults presents Ponto – Ponto is designed by Troels Grum-Schwensen, 2019. 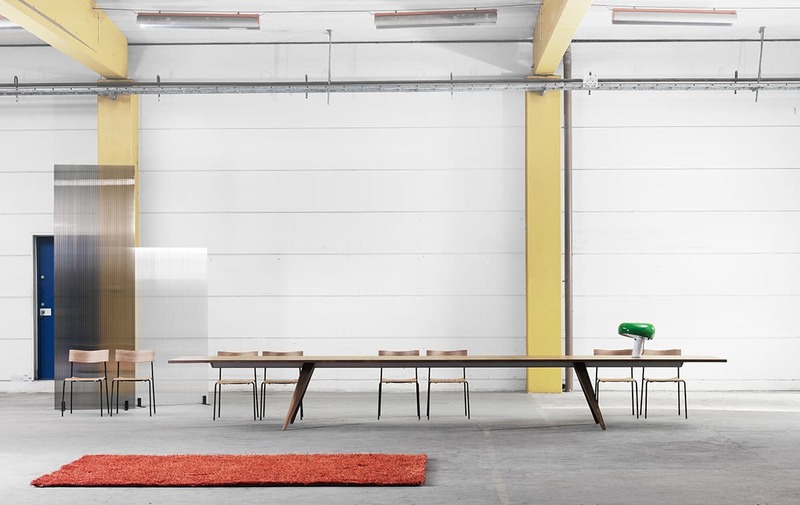 Lammhults is now launching the table series Ponto, designed by Troels Grum-Schwensen. Ponto, meaning bridge in Esperanto, is ‘exclusivity and simplicity’ defined, where every detail breathes both designer’s and Lammhults sense of innovation and quality. 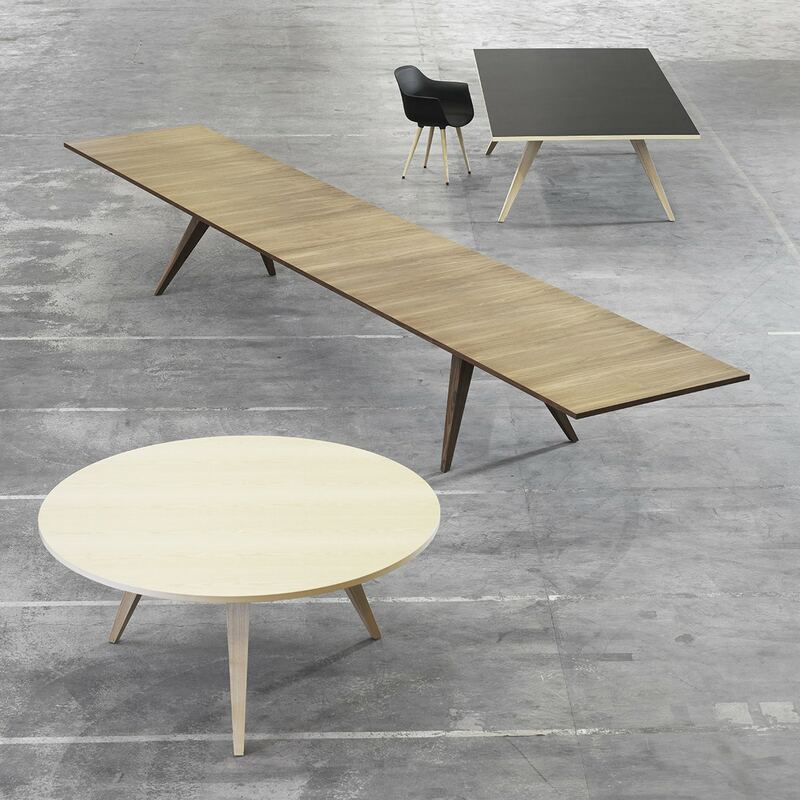 Ponto is the table that allows modern technology to meet solid craftsmanship. The legs of Ponto are made of carefully selected solid wood that is milled to fit the aluminum profiles that support the entire table. 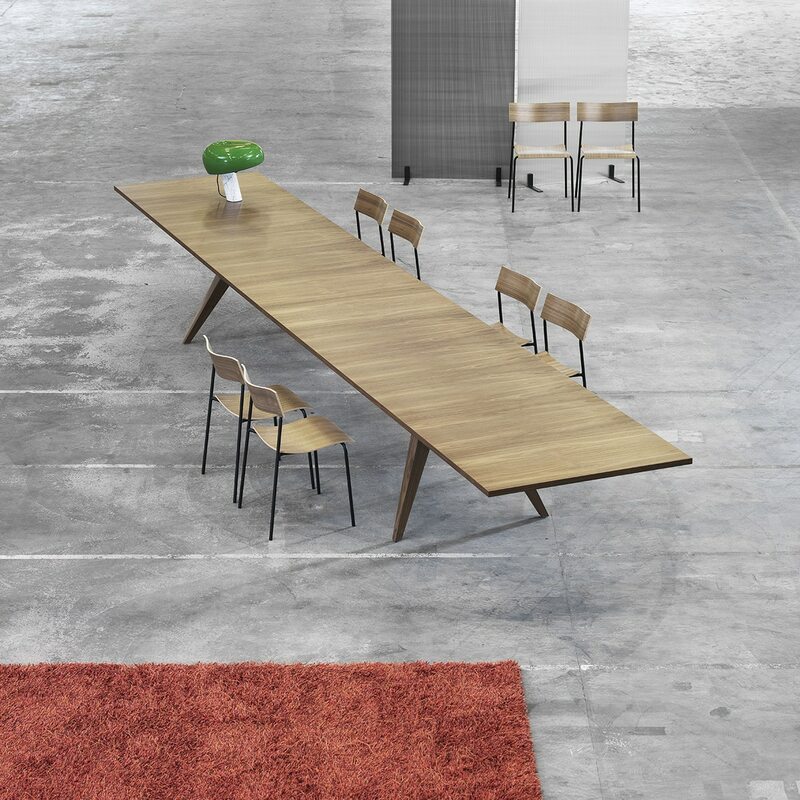 Nothing on Ponto is unnecessary, with a maximum length of 558 cm, only four legs and table surfaces are all that is needed, no more no less, together they are whole and that is remarkable in its simplicity. Assembly is quick, by sliding the leg onto the aluminium profile to the desired position.